Posted on November 20, 2014 at 11:47 am. A year ago in planning month, who could have imagined a fire destroying the Temple? Looking ahead now, we are aware of what Swami Radha called “factor x” – the unexpected – yet we are firmly committed to rebuilding the Temple, following an intricate vision of will and surrender. So far magical things are happening. Just as the transitional Temple blossomed quickly into being, now skilled architects have responded, attuned to luminosity and offering to discern what shape the new Temple of Light may take. Together we will explore. Just as the young people bravely set forth from the Ashram, sheltering their spark of Light; or as the artist quietly enters her retreat wondering what will arise; or as the woman drives alone across the country, drawn to an undefined future; so too, we agree to enter November’s darkness shining our little Light brightly into the intuitive realm of possibilities. We call it planning, but is it really practising courage, or following a vision that already exists? And how can we know what will happen until we try? Yoga Development Course: The YDC is an intensive three-month program designed to give students an in-depth introduction to the major branches of yoga and a foundation in personal and spiritual development. The course is of lasting value to those who wish to deepen their yoga practice and make permanent changes in their approach to life. It is the prerequisite for our teacher training. 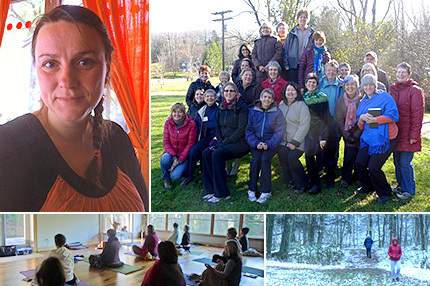 Personal Retreats and Artist and Professional Renewal Retreats are available year-round at the Ashram. Take time to renew spiritually and creatively. 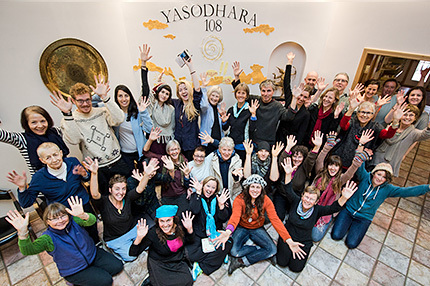 2015 Yasodhara Ashram Program Calendar now online: Discover 2015 Signature courses, core programs and retreats as well as courses that address contemporary issues such as Conscious Aging, Community: Work and Practice, Unplug Retreat (a tech-free weekend), Light & Vibration led by Swami Lalitananda, Living the Practice with Swami Radhananda and more. 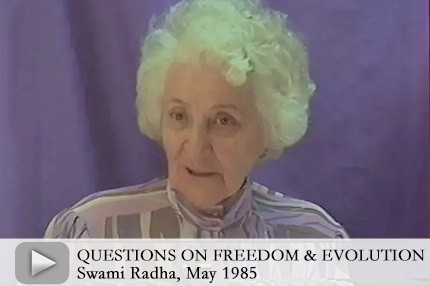 In this video from May 1985, Swami Radha encourages us to reflect through self-inquiry: What am I? What worlds do I live in? Where am I now? Where do I have choice? Where was I before I was born? Where do I want to be? How do I think of a greater power? And Now Begins… the New Temple of Light! Yasodhara Ashram is delighted to announce that we have chosen Patkau Architects of Vancouver to create the conceptual design for the new Temple of Light. “Patkau is attuned to the symbolism of the Temple as an expression of Light through form and has a wealth of experience to help us achieve it,” says Swami Lalitananda. 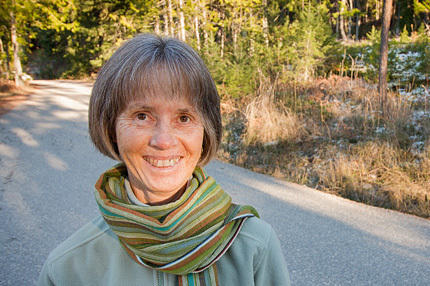 Prior to the Ashram contacting her, Patricia Patkau had just attended her first yoga class and was feeling a strong attraction to the wild beauty of the Kootenays. The Patkaus will visit the Temple site, currently home to the beautiful transitional Temple, on November 30. Just in time for holiday shopping – we are pleased to launch our Yasodhara Online Store! Share the teachings through the ease of at-home shopping, selecting from a wonderful range of Timeless Books, CDs and DVDs, plus past issues of Ascent Magazine. For the first time sold-out issues of Ascent are now available in downloadable PDF format. 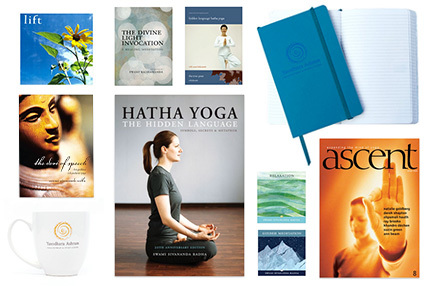 Yasodhara Online Store is also offering Yasodhara’s three music books, the Yasodhara water bottle, mug, bag, stickers and journals – lovely reminders of your stay here and thoughtful gifts for others. We look forward to serving you in this new, convenient way. 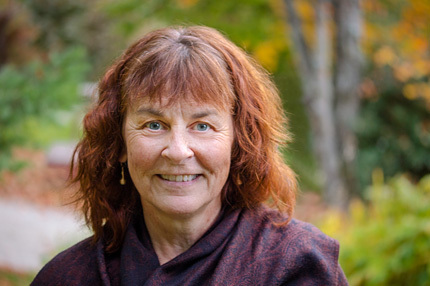 Char Mustard of Peterborough, Ontario returned to Yasodhara Ashram this summer to start a one-year residency that includes Karma Yoga and participation for a second time in the Yoga Development Course (YDC). After my first YDC and teacher training, a resident said, “Make sure you start teaching as soon as you get home.” I did just that – first in the church basement, then my farmhouse attic, and most recently at my in-town home. Last year, when I stated my intention to repeat the YDC, everything fell into place. 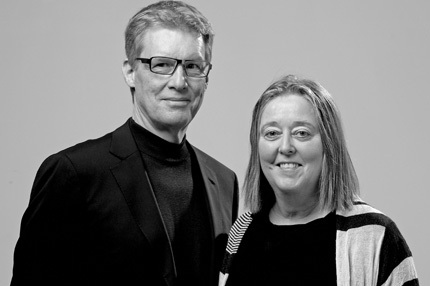 My son Luke and daughter-in-law Margo – both Yasodhara teachers – stepped forward to look after my Hatha classes and household. I decided to drive across the country to challenge my idea of security and to see this precious land. My courage grew each day of the trip as my faith deepened. Now as I do Karma Yoga in the Preserving Kitchen and office, teaching and offering satsangs, Divine Mother constantly confirms my decision. I’m entering the YDC with an open mind and a feeling that I’ll be moving closer to my human potential while stepping up to a life of service. Contact us for more information or to register if you would like to join Char and others on the YDC journey. Thank you to everyone who supported the Yasodhara 108 fundraiser. 546 donations raised $26,723 for the Young Adult Program (YAP)! The enthusiasm of each participant was uplifting, the generosity of each donor humbling. Swami Jyotihananda was our top fundraiser at $5,000 and offered 108 Hari Oms daily. The Young Adult Program supports 18-30 year olds who stay at the Ashram for Karma Yoga and courses. Learn more about the Young Adult Program. Your gifts of support are always greatly appreciated. “Yasodhara Ashram arrived in the form of Swamis Samayananda and Matananda to offer the teachings and fill us up spiritually,” says Elaine Ito, organizer of the weekend outreach retreat near Toronto. 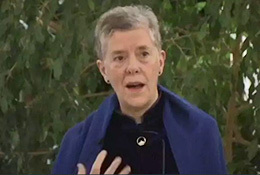 Cindy Phillips, a participant, relates why this retreat was so important to her. Twelve years ago I participated in the Young Adult Program. It was life-changing! I discovered my passion for farming and everything associated with it from seed saving to preserving. I found my way to live a loving life. The next few years, I married and had two beautiful children, learned as much as I could about farming, moved to the country, built a garden, got involved in community, school and farmers markets… and all this from a seed that was planted in my heart at Yasodhara. Fast forward ten years: busy with the daily routines of being a wife, mother, farmer, employee and curious student, I look online and discover a Stilling the Mind retreat is offered 45 minutes from my rural home. I go, participate, meditate, cry, laugh and remember why I am doing everything I am doing. I am ever growing into Divine Light. Yasodhara Outreach will continue to grow next year. If you are interested in organizing something in your area, email outreach@yasodhara.org. Donna Lee Elke of Bellingham, Washington describes how being in spiritual community supported her recent Artist Retreat. I’ve been painting and weaving for twenty years and it was clear I was moving into something else, possibly writing. To understand more, I wanted to open myself up to the stillness, the silence within and without. And I wanted to do this within community. At first I was planning to bring all my writing with me to the Ashram; then it came down to just one piece that I had begun twelve years ago. I thought, “You never know what might happen.” A few days before the end of my Artist Retreat, the writing came through. Completely. The words “delight” and “gift” summarize my experience. I got to delight in the gift of community, the Karma Yoga and the joy of learning. Satsang was the gift of communal gratitude. 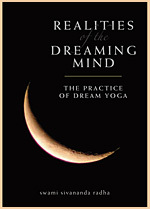 Hidden Language Hatha Yoga was the gift of my body – flexible and strong and a vehicle to joy. The meals were the gift of healthful food eaten in silence. Finally was the gift of knowing who I am and what I am here to do at this time in my life. This is what Yasodhara Ashram has given me – the delight of connecting to the Divine within. Vist our website to learn more about retreat opportunities at the Ashram. Satsang Comes to Nelson – Rebecca Dale, Yasodhara Yoga teacher and treasurer of the Society, is now sharing her time between the Ashram and Nelson. In Nelson she has begun offering monthly satsangs and is planning more classes in the new year. 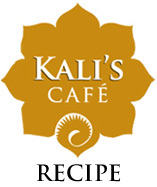 The next Nelson satsang is scheduled for Sunday, December 7, 7:30 – 9 pm at 1522 Stanley St. on the corner of Houston. All are welcome! Giving Thanks – Before the frost arrived, we gathered together to bless the Ashram garden and offer our gratitude for its bounty. We formed a circle around the blueberry patch that was renewed this year. While most garden beds are covered in straw, the kale beds and hoophouse will keep on giving fresh greens throughout the winter. Join us this season – Step out from the pressure of the holidays and honour the Light in the tranquil setting of Yasodhara Ashram. Join us at Winter Solstice for the Renewing in the Light Retreat December 19-21 or bring in the new year, December 31-January 1 as we celebrate our gifts and enjoy the peace of the season. Yoga Development Course (YDC) 2015 – Is this your year to take three months to be with a group of like-minded people? In the YDC you will explore questions of meaning, identification and ideals, and learn powerful tools for transformation. Become the kind of person you want to be. For more information about joining the 2015 YDC, contact Registrations. In this satsang talk from 2005, Swami Radhananda encourages us to let devotion override the intellect so we come from a different place of inspiration. Swami Radha explores how the different images of the Divine relate to qualities of learning that we can bring to life in ourselves. As Yasodhara Ashram starts planning for 2015, we want to stay inspired by focusing on Vision, Learning and Ideals. How do we bring vision, learning and ideals to life – personally and in our work and organizations? What is your vision for the future? What are your personal goals? Chant and write a reflection. Create a collage or vision board based on ideas and images from your reflection. Using the Kundalini chart and any spiritual practices of your choice, ask: How do I learn? What have I learned? What helps me to keep going? Bring a current situation into your reflections. Observing how you use your time may help clarify where your ideals lie, and how to turn your vision for a week into reality. Draw or download a chart that displays the upcoming week – hour by hour. Write in your appointments, your work schedule, travel and other activities for the entire week, including when you rise and go to bed. Reflect on your ideals for the week: What are your priorities? What have you been putting off? Be honest with how long each activity takes – overestimating to allow for the unexpected. Slot in activities and begin. Reflect daily, focusing on what constitutes a “good” or “productive” day.